Jam Sebastian euthanasia wish: Family won't, but would you grant it? Home / Entertainment / trending topic / Jam Sebastian euthanasia wish: Family won't, but would you grant it? 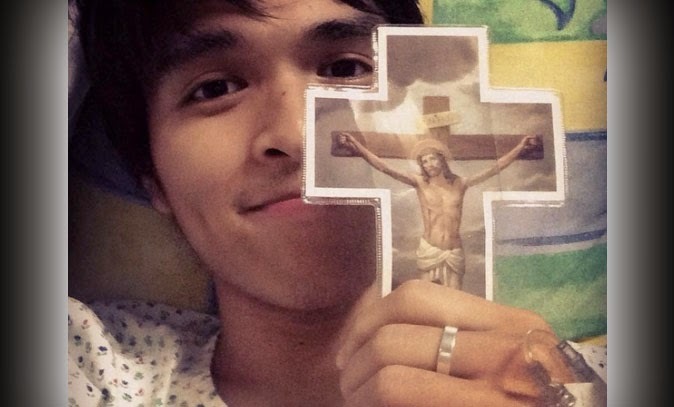 Jam Sebastian, one half of YouTube sensation Jamich, wants to end his life through euthanasia. His family won't allow it, but if you were given the right, would you grant his wish? In an interview with Startalk, Jam's older brother Yexel shared that the cancer-stricken internet star texted the family to consider mercy killing to end his suffering once and for all. Jam is undergoing treatment at St. Luke's Global City for a lung cancer he was diagnosed of in March 2014. His mother, Maricar, revealed that her son once told her he's getting weak and exhausted. He wants to quit, he wants to rest. "I cried. I said, 'Son, everything you ask, I will give it. But this time, no. Never give up," was her tearjerking response. Maricar added that Jam has refused further treatment due to extreme pain. He doesn't want to have his blood pressure (BP) and vital signs taken, not even dextrose. It has been two weeks since the last chemo. Jam told her mother he wants to recover and regain strength before undergoing another session. She said Jam's planned marriage with fiancée Paolinne Michelle Liggayu has been put on hold.